Benjamin Franklin, born in 1706 (adjusted from Old Style date 1705), died in 1790, is perhaps the most eccentric and broadly accomplished of all the nation's founding fathers, who is the only one to have signed all four major documents for a new nation: the Declaration of Independence (1776), the Treaty of Alliance with France (1778), the Treaty of Paris establishing peace with Great Britain (1783) and the U.S. Constitution (1787). He left his footprint on almost all aspects of forming the new nation: science, religion, education, government, finance, and international relations (ooh, lah, lah-- don't forget the French ladies!). The motivation for his curiosities, discoveries, and political philosophies told from his perspective rather than that of an impersonal third party account, makes his autobiography particularly interesting reading. 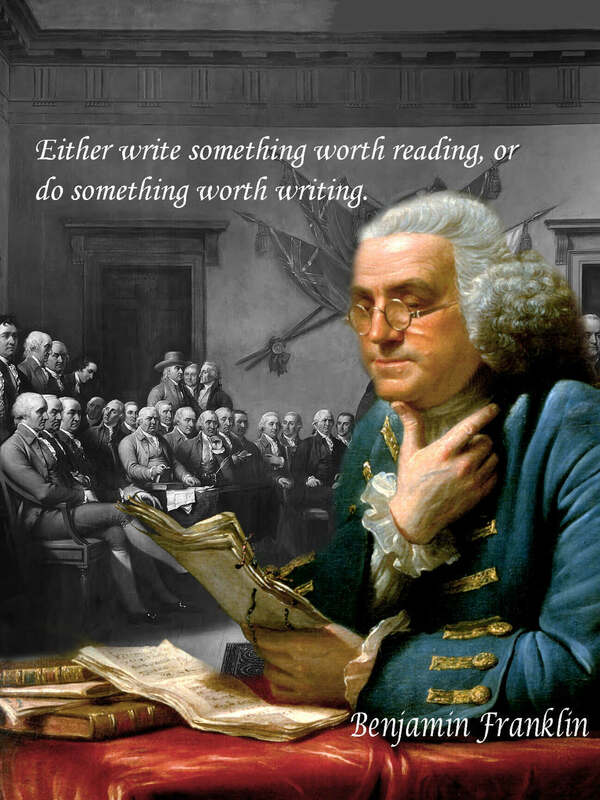 Franklin sprinkles a healthy dose of humility and wit throughout his prose. 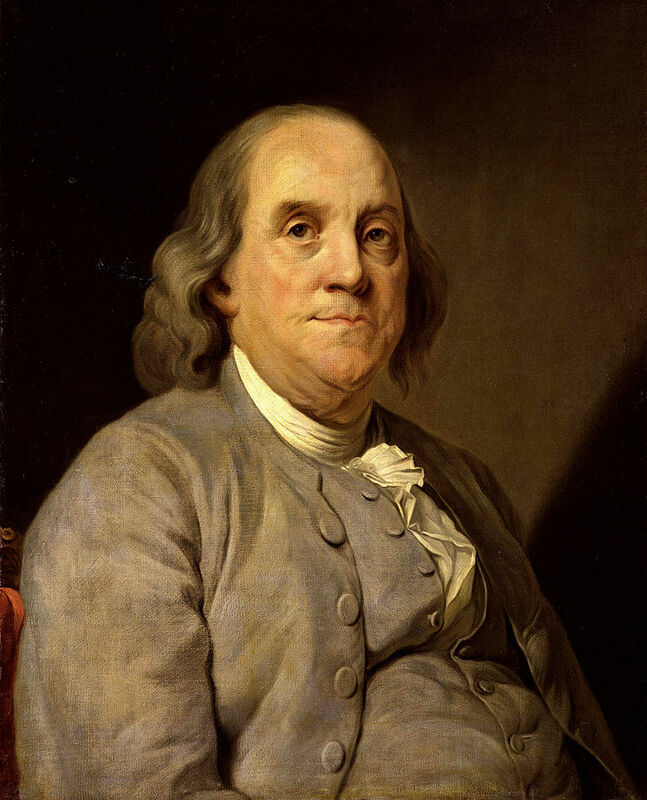 He started composing what became The Autobiography of Benjamin Franklin in 1771; it was published posthumously in 1793. Enjoy reading the introductory notes before diving in to his writings-- it offers fascinating details to better understand such an iconic American figure. Also enjoy his homely sayings that offer such rich meaning, published in the most popular almanac every published, Poor Richard's Almanack. Young readers will enjoy James Baldwin's chapter book, The Story of Benjamin Franklin, and Nathaniel Hawthorne's short story Benjamin Franklin, in which he steals a pile of rocks as a boy. Enjoy visiting American History to read about other important figures and their writings which helped shape the country. You may also enjoy reading D.H. Lawrence's chapter about Franklin in his book, Studies in Classic American Literature. "The body of Benjamin Franklin, printer; Like the cover of an old book— Its contents torn out, and script of its lettering and gilding: Lies here food for worms."